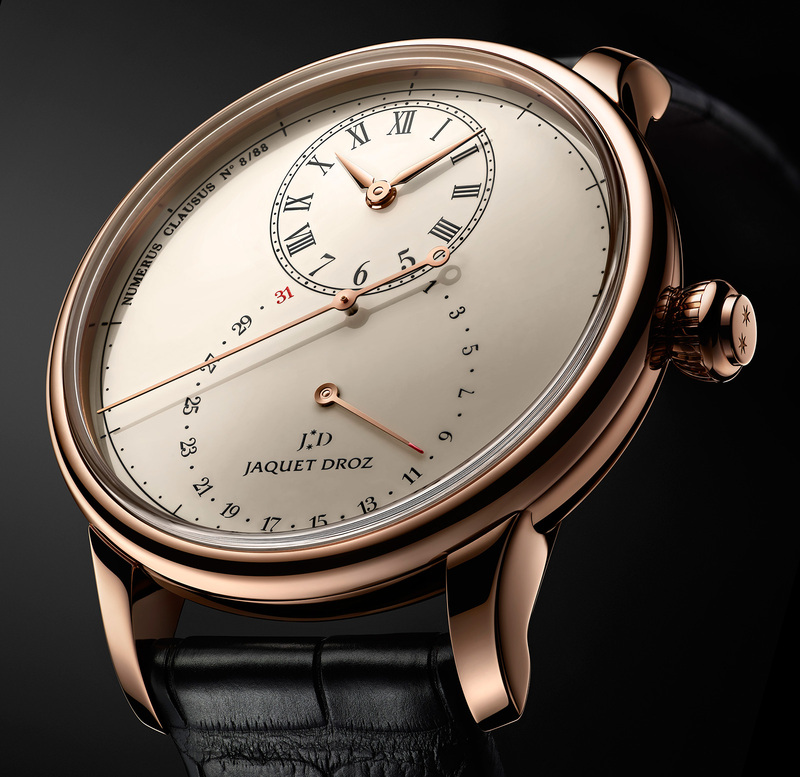 Jaquet Droz will unveil its first dead seconds wristwatch at Baselworld 2015 next month, the Grande Seconde Deadbeat. 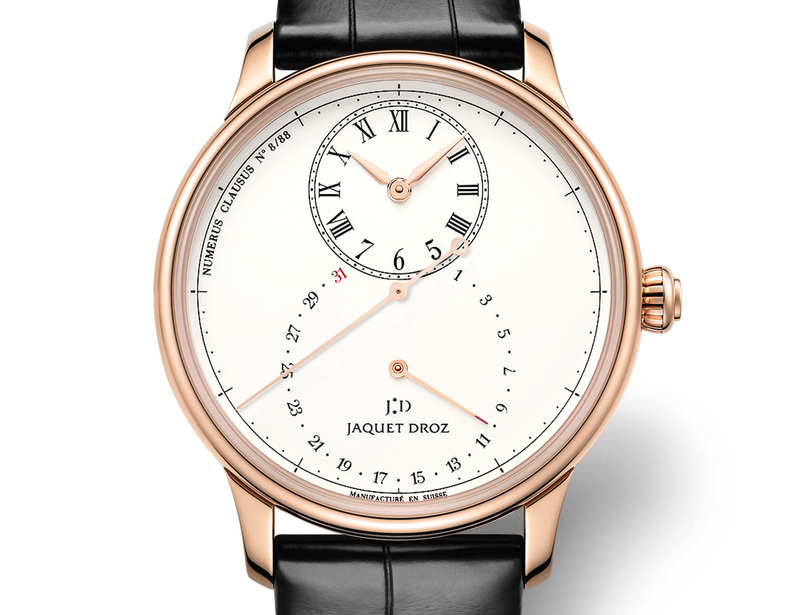 This is a variant of the brand’s instantly recognisable Grande Seconde watch, but instead of an oversized seconds sub-dial at six, the seconds are on the central axis with the hands. The central seconds hand moves in one second steps, a feature known as a deadbeat seconds. A cam with 10 teeth and a spring lever lie behind this mechanism, originally invented in the late 1700s as a method to measure elapsed time without a chronograph. Dead seconds became popular once again in the 20th century, as they resembled quartz watches which were then new to market. And now they have come back in fashion again, as a small complication that offers novelty without too much of a price premium. The dial is ivory, oven fired enamel and a date function is where the seconds usually is at six o’clock. 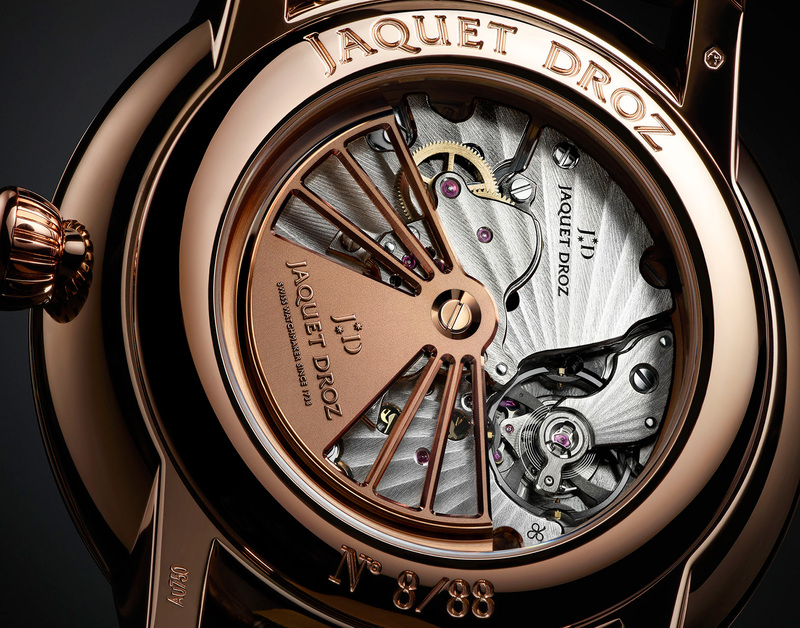 Inside is a self-winding movement with a 40 hour power reserve and amagnetic silicon hairspring. 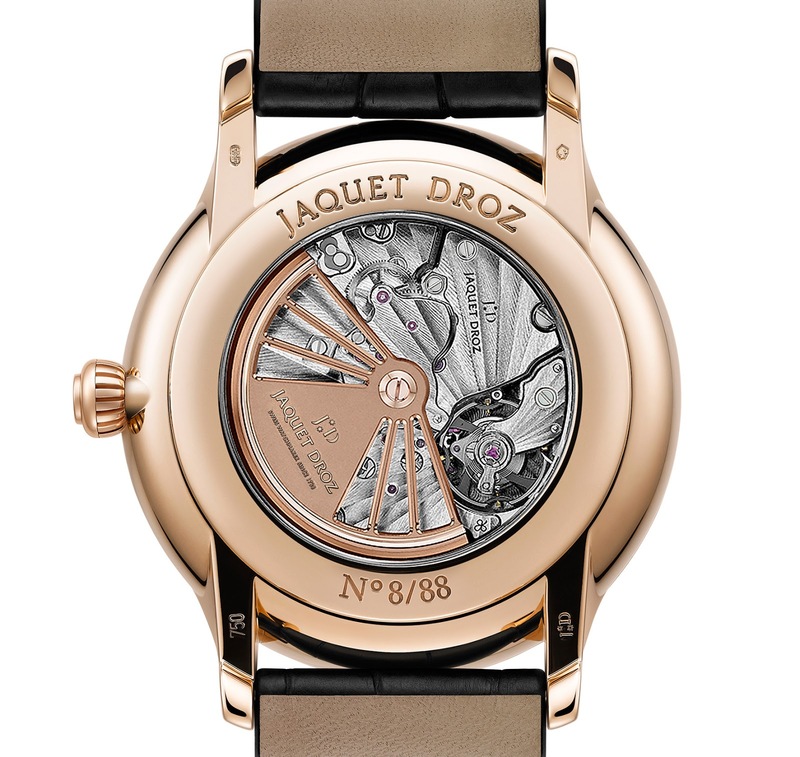 The rose gold case is 43 mm in diameter. This is limited to 88 pieces. Pricing will be announced at Baselworld but is estimated to be between 30,000 to 35,000 Swiss francs.